Is Qalamoun battle over? Hezbollah will be standing on over 18000 sqm2. The battle of Yabrud is over but not the battle of Qalamoun. As written in previous reports (see here), it took the attacking forces over a month to end the battle of Yabrud. Moreover, the nuns‘ exchange marked a turn in the battle when Jabhat al-Nusra (JAN) asked a free passage to 1500 fighters. The request was refused but corroborated intelligence information to attacking forces regarding the number of rebels left in the city. Today, JAN accuses other rebel groups for the fall of Yabrud, claiming these did not fight. Similar claim by rebels was also formulated when the fate of Qusseyr battle was marked. JAN was the leading force – but not the only one – in Yabrud. Obviously, the rebels do not fight under one command, neither as one man like the attacking forces. The city of Yabrud was under heavy shelling by air, artillery and ground troops who used all sorts of weapons (see previous report). According to a reliable source within the attacking forces, “the Syrian Army offered logistic and fire support to Hezbollah fighters who launched a frontal simulated attack from Rima Farms and the west of Yabrud as a diversion. The real penetration of ground troops took place from the East, breaking the rebels defensive lines. By night fall, another penetration of forces advanced from West into the national hospital to meet the forces from the East in the city Centre were heavy fighting took place. Once the defensive line was broken, the rebels lost their will to continue fighting”. “The attacking forces decided to launch repetitive attacks at night to limit the damage and casualties but also due to rebels’ lack of night vision equipment and rebels anti-tank missile (Kornet and others). Rebels relied on caves, hills and on the difficult topography of the area to slow down the attacking forces. The rebels were prepared for the battle since 4 months bringing in men and military supplies. Re-taking the hills first took most of the month and was not an easy task but a necessary move and an essential military tactic to ensure the protection of the attacking ground troops on the city. Hezbollah has lost most of his casualties in the mountains battle”, said the source. The source explained “most of what was left from the remaining of the rebels fled Yabrud by night, leaving behind military hardware, as well as hundreds of bodies from different nationalities. These are Saudi, Kuwaiti, Tunisian, Egyptian, Moroccan, Iraqi, Lebanese and others. A small number of rebels have surrender”. But this is not the end of the Qalamoun battle. Falita (West of Yabrud), Ras al-Ain (South of Yabrud) and Ras al-Maarra (South-West of Yabrud) all are on the main list of the next attack from the Qalamoun area. Rankus, around 80 km from Yabrud, maybe better attacked from Lebanon rather than Al-Qalamoun for its vicinity to the Lebanese-Syrian borders. Many unconfirmed claims from cities in Qalamoun claiming a will to negotiate with the regime forces to spear the numerous cities south of Yabrud, including Maalula. It is clear that Hezbollah will not stop to celebrate its victory over Yabrud and will not take a break. The military operation will continue, taking advantage of the low moral of the rebels and their scattered men. Moreover, the Qalamoun Mountains represent undoubtedly a future “military zone” for Hezbollah for its war against Israel. It is clear that Hezbollah, today, is no longer standing on 10452 sqm2 (the surface of Lebanon) but will be on additional 8000 sqm2, starting from Tal Kalakh, north of Quseyr to Zabadani, once the battle of Qalamoun is over. Has The Release Of 13 Orthodox Nuns Created A Real Turn In The Battle Of Yabrud? Thirteen Greek Orthodox nuns and their three maids were held for over 3 months against their will by Jabhat al-Nusra (JAN), a Jihadi rebel group presumably affiliated to al-Qaeda operating in Lebanon and Syria. These were freed over the weekend after being abducted from their convent in Maaloula, north of Damascus and one of the rare locations in the World where the ancient language of Jesus Christ is still spoken. Their release marks a real turn in the battle of Al-Qalamoun. Burkan (Volcano), a short-range rocket and Zilzal (Earthquake), a long-range missile. The modification introduced by both Hezbollah and the Syria army turned the short-range rocket to a limited range of 300 m, and the long-range missiles to a shorter range but with a modified warhead that can carry explosives from 250kg to 900 kg. Rebel sources deny the advance of Hezbollah/SAA forces into Rima farms, insisting the battle still ongoing inside the city and has not reach Yabrud yet. No proof or footage could confirm either claim so far. According to the source “There are many rebel factions inside Yabrud, mainly guided by Jahbat al-Nusra. 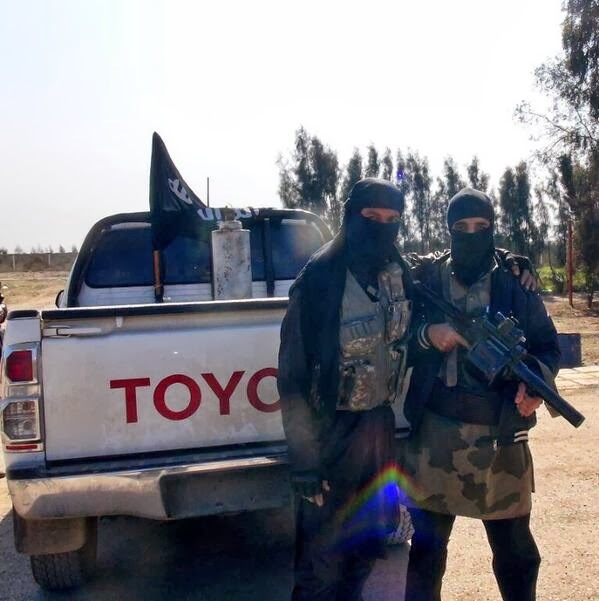 JAN is led by Abu Malik al-Talli and his vice Abu Azzam al-Kuwaiti, both are directing the battle in Yabrud. They have offered to leave with their fighters. As far as we are concerned, the number of fighters inside Yabrud is irrelevant. We will deal with them”. Regarding the nuns and their maids, the source said that “Qatar paid one million dollar for each hostage, with a total of 16 millions delivered by the Qatari envoy. Moreover, the regime agreed to free 155 prisoners out of 950 negotiated as part of the nun’s release”. Rebel sources denied receiving any ransom. Sources close to the Lebanese head of the ‘Sureté Generale’ Brigadier General Abbas Ibrahim, present at the negotiation, confirmed that “money was part of the deal”, without disclosing further information. When asked about Hezbollah losses in the al-Qalamoun battle; the source indicated “Hezbollah has lost 45 so far with 4 reported missing during a reconnaissance mission and around 80 wounded. Hezbollah can accept up to a thousand if necessary to end the entire battle of Qalamoun and secure completely the absence of rebels along the borders with Lebanon and close to Damascus. Yabrud is only the beginning. There are other battles awaiting in al-Qalamoun further south”. In early 2013, Saudi Arabia began smuggling weapons it had purchased from the Croatian government through Jordan to the south of Syria, to forces loyal to the Free Syrian Army. 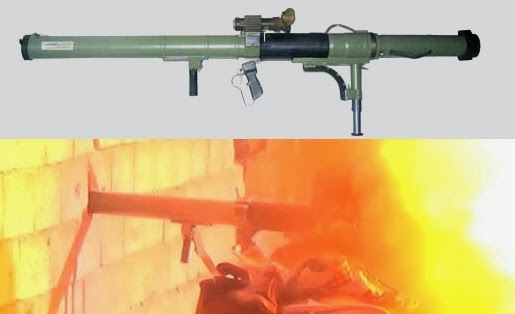 At the time, videos posted by the Syrian opposition showed a number of weapons coming into the south of Syria, including RBG-6 grenade launchers, M60 recoilless guns, RPG-22 rocket launchers, and M79 Osa rocket launchers. 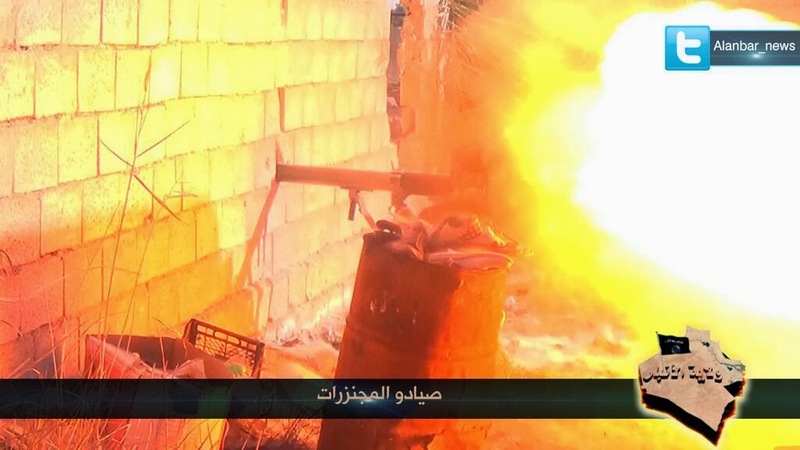 In March 2013, videos began to appear showing these weapons appearing with groups outside of the FSA, including Jihadists such as Ahrar al-Sham, and images posted today show these weapons have now spread even further afield. These weapons are not used in the region (apart from those supplied to the Free Syrian Army), so it seems extremely likely these weapons are the same ones purchased from Croatia, by Saudi Arabia, and smuggled through Jordan. 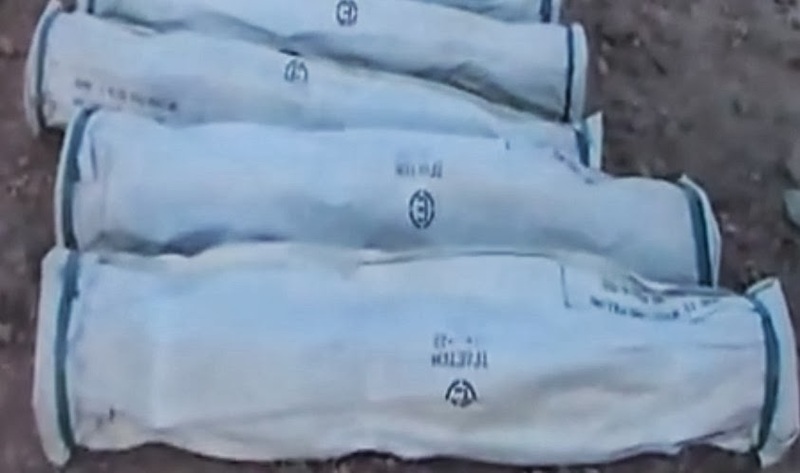 Now, despite the best intentions of those who were involved with providing these weapons to the Free Syrian Army, these weapons are being used to attack Iraqi government forces inside Iraq, a clear indication that attempts to control the spread of weapons beyond the borders of Syria and the groups that initially received them has failed in a spectacular fashion. This raises serious questions when there's talk of providing the opposition in Syria with Chinese FN-6 MANPADS (surface-to-air missiles), especially when these Croatian weapons have ended up in the hands of the Islamic State of Iraq and al-Sham. Thanks to @ShamiWitness for highlighting these photographs, and Aymenn Jawad al-Tamimi for additional information. As per Ares Arms Research Services' earlier post on Chinese ATGMs in Syria, the letter "E" in a circle indicates these are HJ-8E models, the same type reportedly supplied by Qatar earlier in the conflict, which also had their markings obscured. 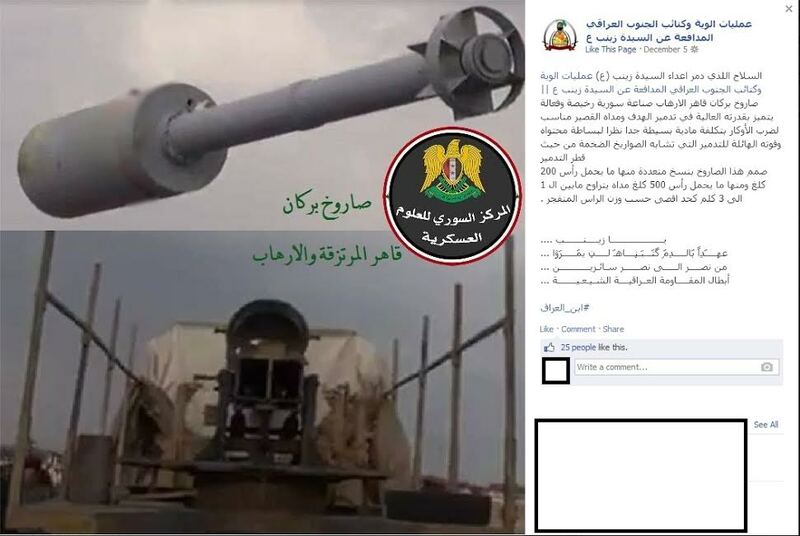 The earliest posts on the Martyrs of Mheen Facebook page suggests they have been active in the Qalamoun region since October 2013, and videos posted to another YouTube channel associated with the group show they have access to Croatian RAK-12 multiple rocket launchers, supplied to opposition groups aligned to the Free Syrian Army in early 2013 by Saudi Arabia, smuggled via Jordan into the south of Syria. 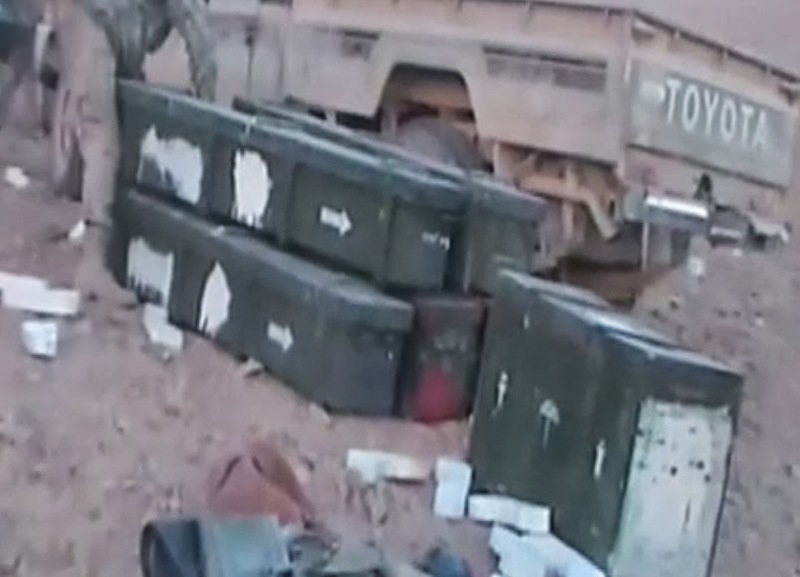 It's very interesting that the same group have access to the Croatian weapons provided by Saudi Arabia and these Chinese HJ-8E ATGMs, fresh supplies of which have been rumoured to have entered the south of the country in recent weeks. 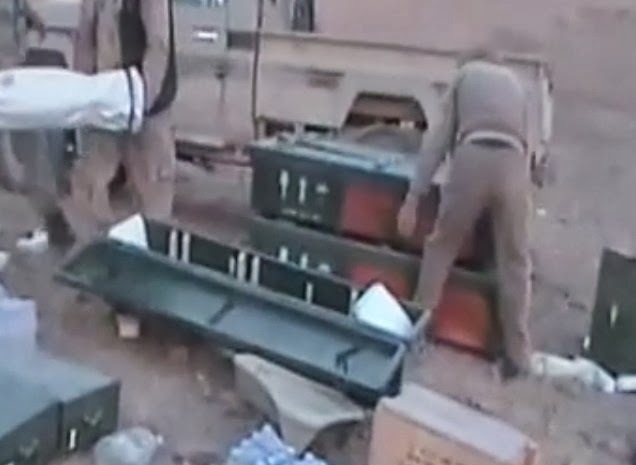 Could the HJ-8Es in this new video be the first signs of large quantities of this new supply arriving in Syria? Last month, I wrote about how Facebook was deleting large numbers of Facebook pages relating to the conflict in Syria, in many cases as a result of targeted campaigns by pro-government groups against specific pages. As a result, large amounts of information about the conflict was being lost, and my own survey discovered that included the majority of pages posting initial reports on the August 21st Sarin attack in Damascus. As a response to this, a new site has been launched that hopes to preserve this information by archiving Facebook pages. Alghayma, meaning “The Cloud” in Arabic, is the creation Frederic Jacobs and Batikh Souri, and their hope is to not only archive Facebook pages, but also turn them into more usable information. That includes developing improved search functions, a torrent of the entire archive, and many other functions as the project progresses. Users can support the project by authorising the Facebook app, that allows more requests from Alghayma to the Facebook servers, allowing pages to be archived more frequently, and anyone can add pages or search for pages already archived here. This video shows what appears to be the same design of DIY barrel bomb used widely across the country over the last few months, mounted on the stub wings of a Hind helicopter. All previous examples of DIY barrel bomb drops have shown the bombs pushed out the rear of Hip transport helicopters, so to see them dropped from stub wings is a major change in how they are deployed. It also begs the question, why is a helicopter that can carry large, powerful bombs, being used to drop DIY bombs? When transport helicopters were being used, it seemed reasonable to assume they were dropping DIY barrel bombs to make the most of the Syrian air forces transport fleet. Could this be an indication that bomb supplies are now running low at certain air bases? This appears to be the largest type of Volcano rocket, a type previously seen in this video from the Syrian National Defence Force, as opposed to the type based off 122mm rockets used in the August 21st attack. What's interesting about this video is it includes the launch, flight, and impact, as well as the sound of the impact. From the delay between seeing the impact and hearing the sound of the impact (around 8 seconds), it's possible to calculate that based on the speed of sound the distance travelled by the rocket is at least 2700m. Due to the shaky camera movement and poor quality image, it's possible the impact occurs earlier than we can see in the video, so it's possible the range may be more than 2700m. It's worth noting a Shia Facebook page claimed these rockets had a range of 1-3km, so this is the first evidence that the claim might be correct. What's interesting about this picture is the tail fins of the Volcano rocket. 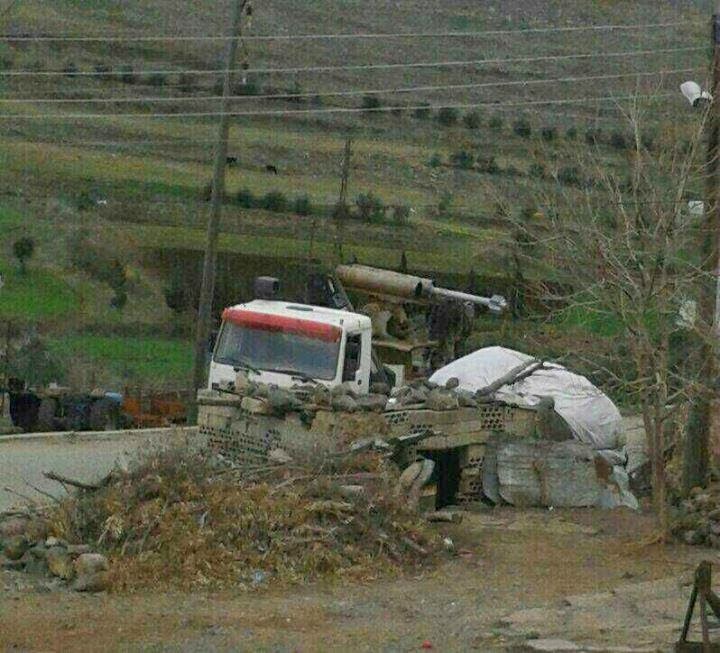 It appears they are swept back, and no tail ring is visible, unlike all other examples of larger Volcano rockets seen in the conflict so far. This may be the first example of a new design of Volcano rocket being deployed by government forces. As yet, no other information is known about this design.